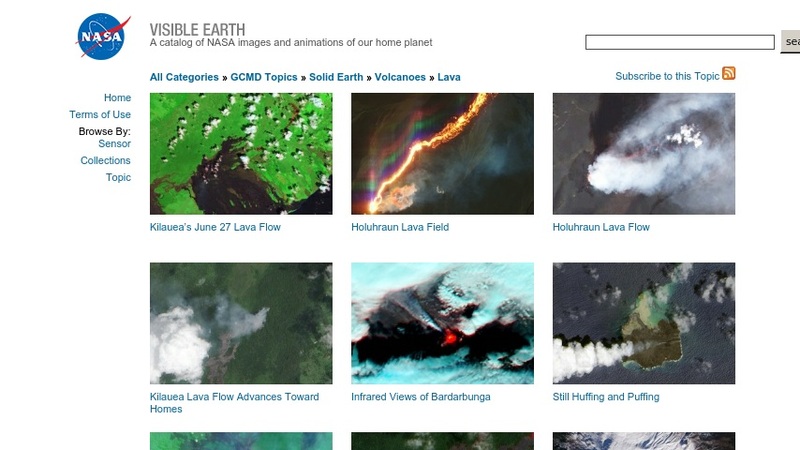 This webpage is part of NASA's Visible Earth, a searchable directory of images, visualizations, and animations of Earth. It features remotely sensed imagery of volcanic eruptions that display smoke plumes, lava flows, fires, and other eruptive features. Each image is accompanied by a caption describing the subject being illustrated and the satellite or instrument which captured the image. Files are in either TIFF, GIF, or JPEG formats.